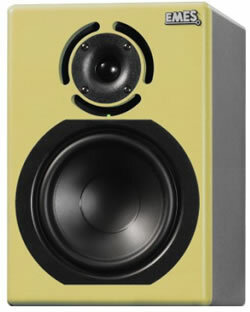 In keeping with the EMES compatible and interchangeable Monitoring philosophy, we have designed the AMBER and AMBER HR sub woofers. These units can accompany various models in our 2 way near field line as Sub-Bass Units (see also EMES MODUMO (Modular Monitoring) brochure) or as a Sub-Woofer in a 5.1 surround system. We have chosen a single Driver design to make the AMBER as compact as possible. 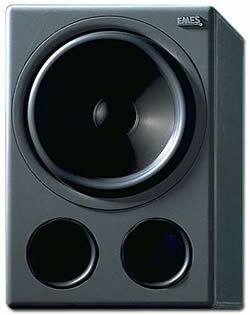 A Compact Sub – that can deliver really good low end?!?! 28 Hz on the AMBER HR. If you need more then you still have the option to stack two of them together! To achieve these figures in a compact sized cabinet, you need a specially designed driver – the EMES XLS-Driver! 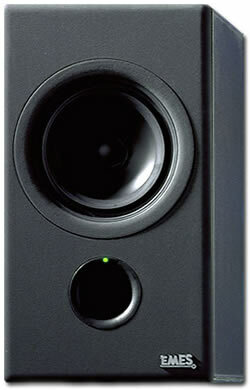 We have chosen a single Driver design to make the AMBER as compact as possible. 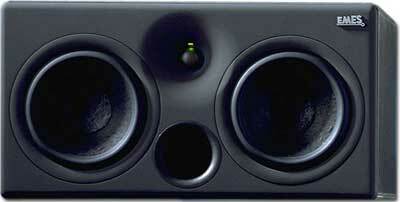 A Compact Sub – that can deliver really good low end?!?! 32 Hz (-3dB) for a 290 x 420 x 450mm (42 litre), if you need more then you still have the option to stack two of them together! The Black tv HR active is a very versatile Monitor! For more than 10 years, this model has been produced and is actually available in it’s 4th generation! It started it’s success with the introduction of Computer based digital Workstations. The demand was clear; Screen save design (Shielded Magnetic field), wide audio range and being able to supply an excellent Imaging at very close listening distances! EMES’s most powerful 2-way system, the BLUE HR active is designed as a D'Appolito configuration. Many Mastering & Recording studios have already chosen the BLUE HR to work with. With the BLUE HR you get a mix that is "compatible" in a wide range of reproduction situations. D'Appilito’s idea has been modified due allow for the many different types of Studio environments. Instead of being verticallyl aligned the 2 woofers and the tweeter are triangular aligned, this alignment achieves a very condensed speaker arrangement, but keeps the benefit of the constant sound field of the D'Appolito configuration! 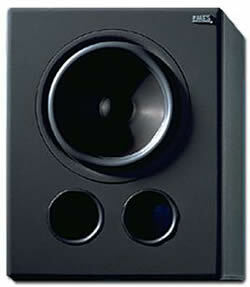 The EMES QUARTZ is the big version of the KOBALT Nearfield monitor. The second of a new generation 2 way bi-amplified near field Monitor, specially designed to meet the best performance at a reasonable price point.